Viknesh Vijayenthiran November 5, 2018 Comment Now! 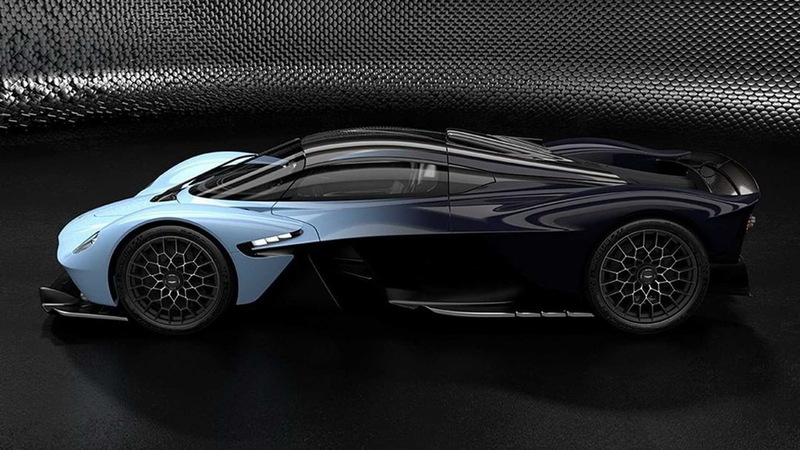 Aston Martin has revealed the latest design for its Valkyrie as the Formula 1-inspired hypercar takes shape ahead of next year's launch. The latest shots show the car in a two-tone finish, an option that's seen a resurgence thanks to Bugatti and hopefully will be offered to Valkyrie buyers. The colors shown here could also be a subtle jab at Bugatti, since the combination of dark and light blues is the hero finish for its Chiron hypercar. While the core elements of the Valkyrie's latest design still closely resembles the original concept shown two years ago, subtle changes have been introduced on the road to production. The car now appears to sport side indicator lamps on each of the front fenders, and the front splitter and side skirts have been tweaked with more complex shapes. The shape of the roof scoop has also been changed, and it appears the air channels at the top of the front fenders have been enlarged, giving us a clear look at the suspension struts beneath. A twin element rear wing is now clearly visible as well. Finally, the wheel pattern is one we've never previously seen in photos of the Valkyrie. We know Aston Martin will also offer buyers flat wheel covers similar to those used on McLaren's recently revealed Speedtail. The flat surface smooths airflow around what would otherwise be a turbulent aerodynamic area, helping to make the car more streamlined. 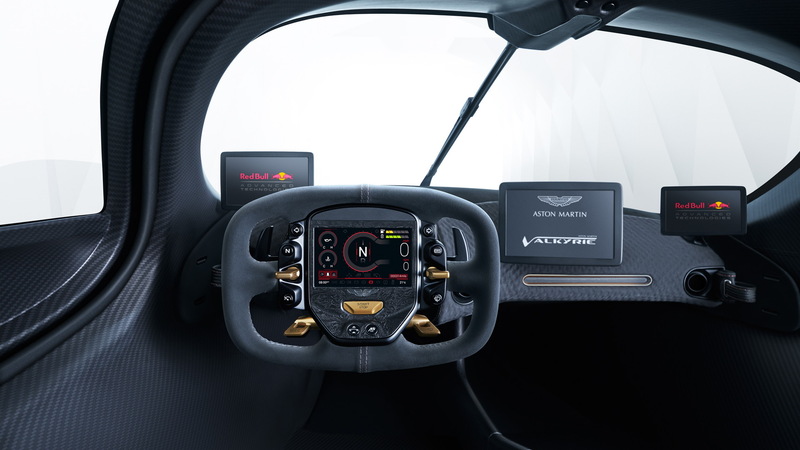 Aston Martin has also given us an updated look at the Valkyrie's cabin, which the automaker reminds us will see drivers sit in a “feet up” position just like in an F1 car. All 175 Valkyrie buyers will have a 3D body scan performed to ensure the seats perfectly fit them. Every curve, line, and love handle will be accommodated by the tailored seats. 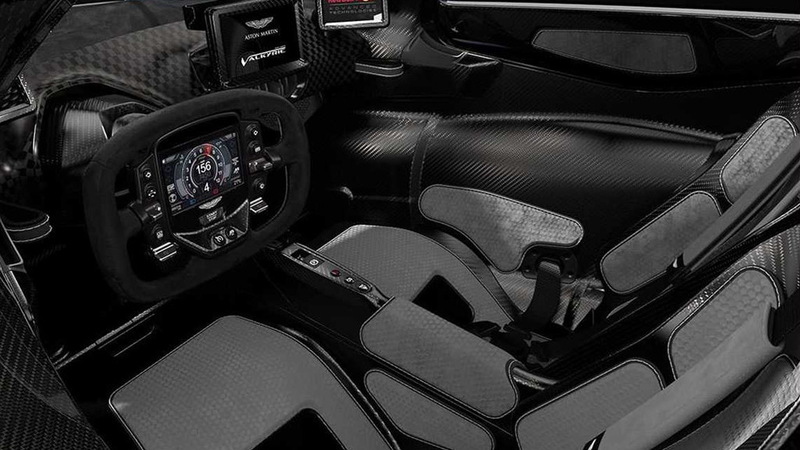 It doesn't look like there's going to be much in the way of padding, so hopefully the engineers will be able to isolate the vibrations coming from the 6.5-liter V-12 roaring away behind the cabin. The engine will deliver approximately 1,130 horsepower, making it the most powerful naturally aspirated engine ever fitted to a production car. 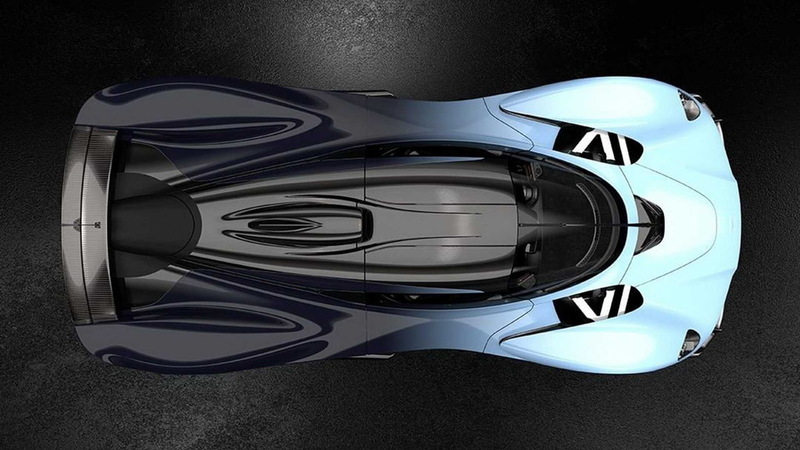 With Aston Martin last month announcing the Silverstone Circuit as its new home of testing, don't be surprised if the first Valkyrie prototypes show up soon at the British racetrack. One of the performance targets for the Aston hypercar is a Silverstone lap time close to that of LMP1 and F1 race cars.